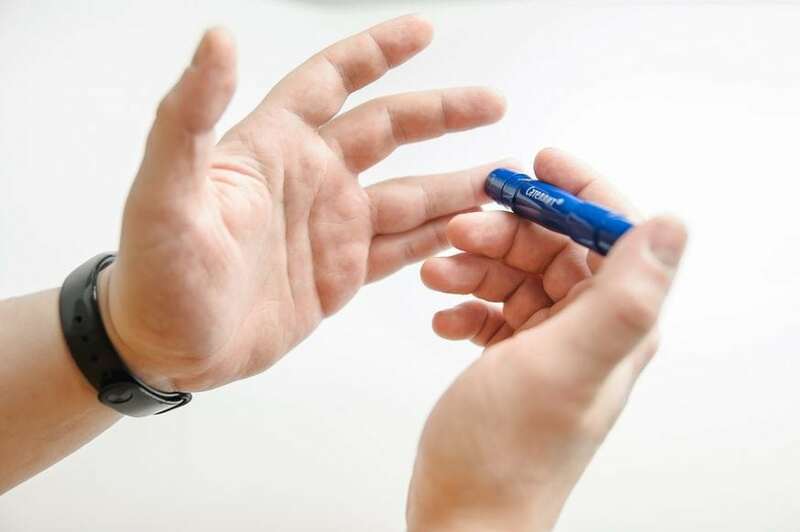 Children and adults with type 1 diabetes must test their blood sugar (glucose) four to seven times daily to provide the information necessary to adjust their insulin adequately, avoiding too many “highs” and “lows.” For each test, a finger prick is needed to get a drop of blood to put on the test strip – this is painful, inconvenient and burdensome. Devices have been available for 15 years that continuously track glucose levels in the fluid under the skin. The glucose sensors (thin needles) of these “continuous glucose monitoring” (CGM) devices have to be inserted into the skin and each can be worn for one to two weeks. These systems provide a sugar reading at any time without a finger prick. As well as providing convenience and comfort, using these devices for most of the day improves blood sugar control. Daily or average glucose profiles can be downloaded to further support adjustment of treatment. CGM is an essential component of emerging “artificial pancreas” devices in which CGM systems talk wirelessly to a wearable insulin pump. Despite these attractive properties, at the time of writing CGM devices are only used by a small minority of people with type 1 diabetes. Barriers include reliability, lack of user-friendliness, and lack of a standardized format for displaying results. However, cost is the dominant factor. Although simpler and cheaper versions of CGM have become available, users generally have to pay not only for the device itself but also for disposable sensors. This adds up to $250 to $350 per month. The European and American Diabetes Associations (EASD/ ADA) believe that much greater benefit could be achieved for people with diabetes – including those with type 2 diabetes – with more concerted and coordinated action between industry, regulators, experts and patient organizations. As the EASD-ADA Technology Group, our Scientific Statement on CGM devices calls on the different constituencies involved to make systemic improvements that could greatly enhance quality of life and health outcomes as well as safety of usage of these devices. In the EASD-ADA Scientific Statement, we advocate for more well-designed research trials to improve reliability and demonstrate value for payers. We urge regulators and manufacturing companies to work with health professionals and people with diabetes to create an environment with greater standardization of outcome measures, a high level of attention to safety issues, and full transparency of adverse event reporting. Such efforts will bring a virtuous cycle or “win-win” as they will lead to more widespread reimbursement, higher rates of use by people with diabetes (i.e. an expanding market), and lower costs via economies of scale. These findings are described in the article entitled Improving the Clinical Value and Utility of CGM Systems: Issues and Recommendations, published in the journal Diabetes Care. This work was led by John Petrie (University of Glasgow) and Lutz Heinemann (Science & Co, Dusseldorf, Germany) on behalf of the EASD-ADA Technology Group consisting of the authors plus Rich Bergenstal (International Diabetes Center at Park Nicollet), Zan Fleming (Kinexum), Reinhard Holl (University of Ulm), and Anne Peters (University of Southern California). Lutz serves as CEO at Science & Co.